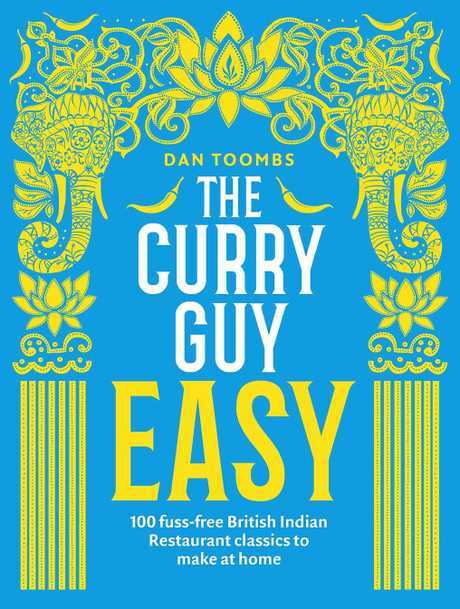 Salmon kofta bhuna from The Curry Guy Easy by Dan Toombs. In a food processor, blitz the salmon or chital until you have a thick paste. Add the rest of the kofta ingredients, except the oil, and mix well. Set aside. To make the sauce, heat the rapeseed oil in a large pan over medium-high heat. When visibly hot, stir in the chopped onions and diced capsicum and fry until the onion is soft and translucent. Stir in the garlic, spring onions, chillies, coriander and the ground spices and stir it all up well. Add just enough water to cover and simmer until the water is almost evaporated. Meanwhile, form the fish paste into about 12 small, flat koftas. In a large frying pan, pour in oil to the depth of about 2.5cm and heat it over medium-high heat. When hot, add the koftas and fry for about 2 minutes on one side. Flip over and fry for another 2 minutes or until cooked through. Place the tomatoes and koftas on top of the simmering sauce for a couple of minutes until the tomatoes are warmed through. Season with salt to taste. To serve, divide the sauce mixture equally between four warmed plates. 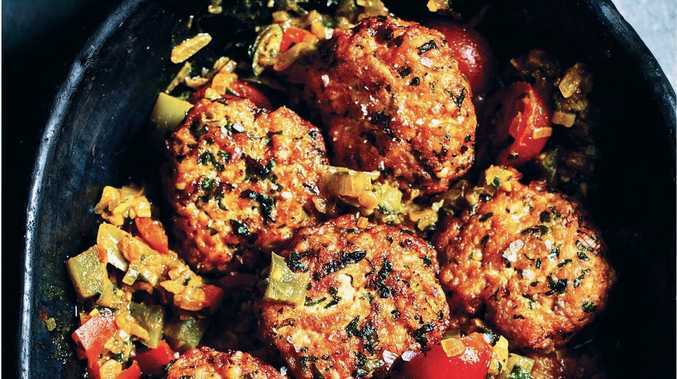 Place three koftas on each and serve with wedges of lemon or lime.